All OBD furniture designs are available in every finish. All furniture pieces are finished individually by hand. Variations in color and surface are to be expected when purchasing a hand-finished design. If a Distress Level is not specified, our artisans will apply a Distress Level that compliments the finish. All finishes are the same price with the exception of Weathered, Leafing, and Premium Woods. 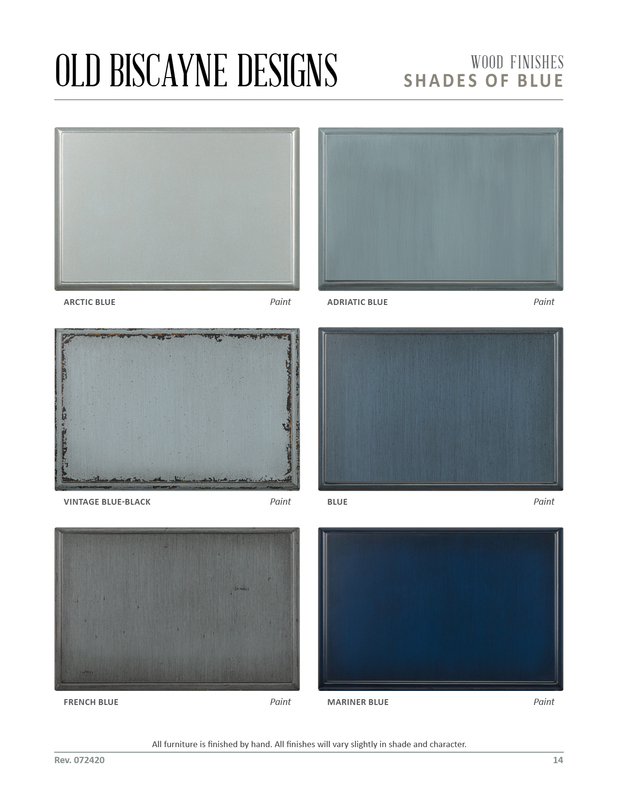 Our Weathered Finishes are achieved through an intricate steel brushing technique and carry a 20% up-charge. Leafing and Premium Wood Species will require an up-charge which must be quoted based on the design and trim application.